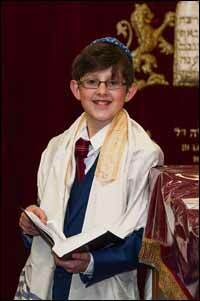 BATMAN fan Benedict Stephens had a Dark Knight to remember when he celebrated his barmitzvah at Holy Law Synagogue. The King David High School pupil is the son of Ann and Michael Stephens, of Prestwich. Benedict has two older sisters, Abigail and Hester, and a younger sister, Deborah. He also enjoys the Xbox and playing squash. Also joining in the celebrations were grandmother Erica Kaye, of Salford, and Irene and Brian Stephens, of Leicester.